This exhibit and events are free and open to the public. "I have always been intrigued with nature and enjoy painting en plein air in the surrounding countryside, local and beyond". Sally Sutton's work have been exhibited in Tokyo and in numerous shows in the United States. 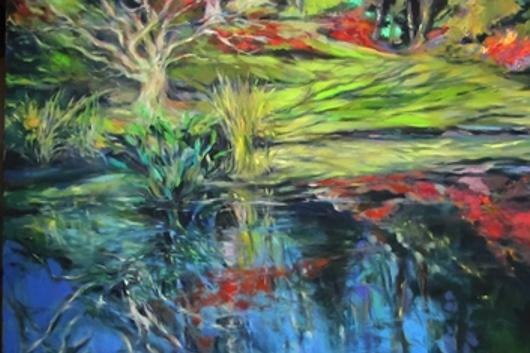 Her paintings can be found in private and corporate collections nationally and abroad, including GlaxoSmithKline, SAS Institute, Northern Telecom, Japan, Bank of America, SunTrust, UNC Hospitals and Duke Medical Center.